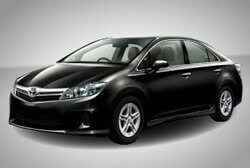 Toyota vehicles are some of the most reliable and safest on the market today. They were designed with the user in mind. They are ideal for people of all ages, which is what makes them a leading vehicle today. Their impressive performance provides you with a comfortable ride every step of the way. At Mark's Independent Service, we are here to provide you with the Toyota service and repair in Chatsworth that you need. When you stop in and see us, you can expect to receive the same level of service that you would receive at a dealership for a fraction of the price. Our group of ASE Certified Technicians are trained to provide you with the quality repairs you need for your vehicle. We specialize in Toyota service and repair in Chatsworth, CA. When you come here for a diagnosis of your vehicle, we will use quality diagnostic tools and top-notch equipment that is sure to deliver the answers you seek. By the time you are done at our shop, you can rest assured that your vehicle will be running in top shape. We also offer a 2-year/24,000-mile warranty on our repairs to help protect you further. Stop in and let our team handle all of your Toyota service and repair needs in Chatsworth, CA today.